We appreciate Chris Rock’s interest in the 2012 election and his right to constantly tweet his opinions about Romney. It is good that Chris Rock is concerned about any possible tax-cheats being elected or appointed into top federal government positions. So we wanted to take the time to point out the following to him to get his opinion. • Timothy Geithner, head of the U.S. Treasury Department and in charge of the IRS, nominated by President Obama and supported by Obama even after it came out he did not pay all his taxes. • Kathleen Sebelius, now head of Health and Human Services and in charge of the nation’s healthcare, nominated by President Obama and supported by him even after it came out she did not pay all her taxes. • Tom Daschle, nominated by President Obama and supported by Obama to be Head of Health and Human Services, even after it came out that he did not pay all his taxes. • Bill Richardson and Nancy Killefer, both nominated by President Obama for cabinet-level positions. • Ronald Kirk, U.S. Trade Representative and another Obama supported man who did not pay all his taxes. • Hilda Solis, Labor Secretary; her husband did not pay all his taxes. 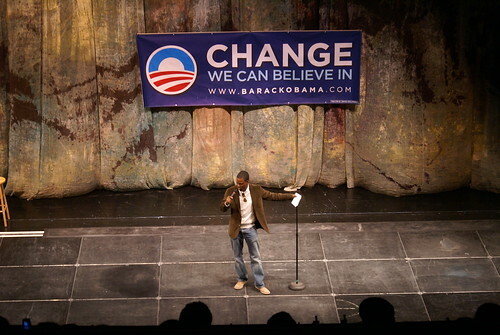 Also, what proof does Chris Rock have that Romney didn’t pay his taxes?